From 9 pm on Friday 27 July until 1:30 am on Saturday 28 everyone should watch the sky: we will be able to observe one of the most fascinating and not very frequent natural events. On this evening, in fact, it will be possible to observe the longest total eclipse of the moon of the century. The total darkening phase will last 103 minutes and in Italy it will take place around 10:21 pm. Overall, this fascinating phenomenon will last 4 hours and 39 minutes. On the same night we will be able to get a good view of Mars, since it will be at the minimum distance from the sun; Venus, Saturn and Jupiter will also be visible. On this occasion, the Sun, Earth and Moon will be almost perfectly aligned and the Moon will pass right through the centre of the umbra projected by the Earth. But why will this eclipse be the longest in the 21st century? It is due to the fact that the Moon is in apogee, that is it is at the maximum distance from the Earth. And as Kepler’s second law tells us, celestial bodies in this part of the orbit move more slowly, and therefore the time taken for transit through the Earth’s umbra becomes longer. When do eclipses take place? Eclipses are astronomic events during which there is a total or partial darkening of a celestial body due to the interposition of one or more other celestial bodies between it and a source of light. That is, when alignment of 3 (or more) celestial bodies on the same plane occurs. In the case of the eclipse of the Moon, this takes place when the Moon and Sun are in two diametrically opposed points with respect to the Earth (full moon phase) and therefore the Moon transits through the umbra projected by the Earth illuminated by the Sun. 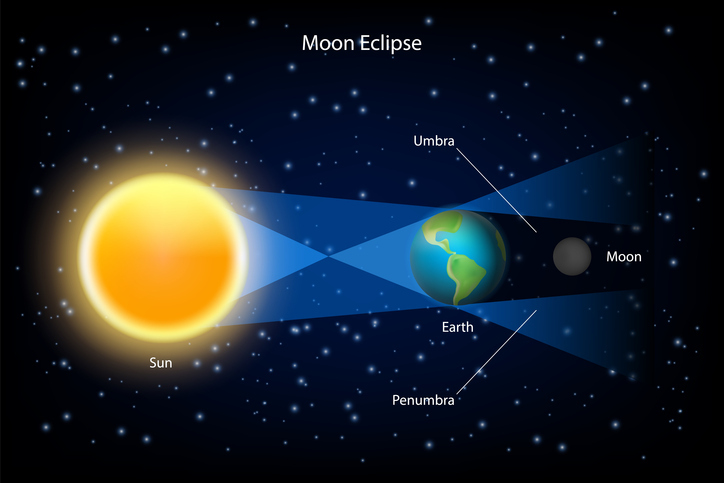 The passage through the umbra may be only marginal (in this case there will be a partial eclipse) or the Moon may be fully plunged into the umbra (in this case there will be a total eclipse). Why will the Moon be red? Unlike solar eclipses, during a lunar eclipse, the Moon never totally disappears, in that a small amount of light refracted by the Earth’s atmosphere is always present. Precisely because of the presence of the Earth’s atmosphere, the rays of the sun are partially radiated and partially refracted into the umbra. 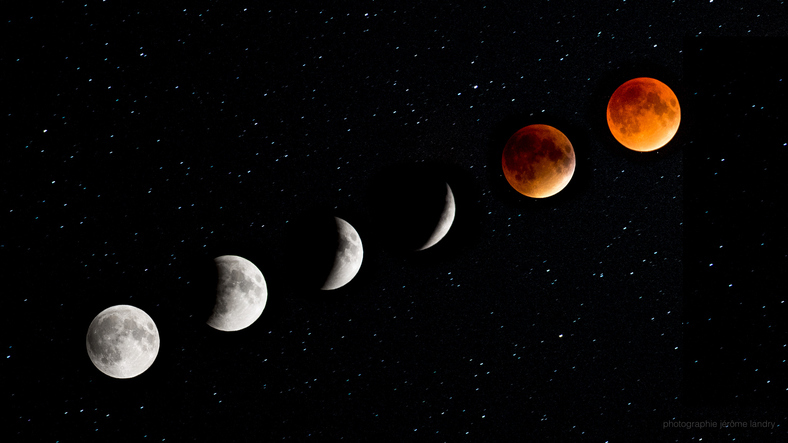 This means that the Moon continues to be more or less visible for the whole duration of the eclipse, additionally taking on a reddish hue, due to the longer wave lengths (red-orange) reflected by the Earth onto the Moon’s surface. Eclipses never take place alone: a solar eclipse always take place about two weeks before or after lunar eclipses. Generally, there are two eclipses in a row, but other times there may even be three during the same season. This is what has happened this year, when we had the first eclipse on 13 July (partial solar eclipse), the second on 27 July (total lunar eclipse) and the third will take place on 11 August (partial solar eclipse). Why are they called eclipses? It is a scientific term (regarding astronomy) used by scholars that has been passed down from Latin by means of books. It derives from the word eclīpsis, which in turn is an adaptation of the Greek term ékleipsis, a noun derived from the verb ekléipein ‘leave’, ‘abandon’. When will the next event be? On 21 January 2019, when there will be a new total eclipse of the Moon, partially visible from Europe.